Over 50 hotels, guest houses and hostels await you near the Dead Sea, each offering different opportunities for the perfect and most unforgettable vacation experience. Choose your preferred accommodations for this trip and click to learn about all of the deals and unbeatable prices available on hotels and accommodations at the Dead Sea, free of handling and cancellation fees. The Dead Sea offers a multitude of accommodation options, ranging from luxury hotels to Bedouin tents with mats and mattresses. Geographically, the hotels and lodges are spread from the Almog junction north of the Dead Sea to the Arava junction located at the southern end, as well as the NeotHakikar area. Most of the hotels are located near EinBokek, at the southern end of the Dead Sea and a 30-minute drive from EinGedi, but you find accommodations all along the coast in the various towns along the way, including Almog, Kalia, Dragot Cliffs, and Kibbutz EinGedi. 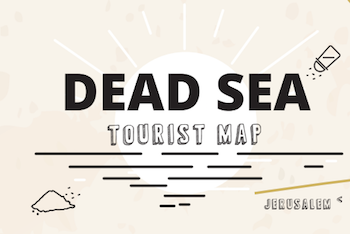 In addition, hostels and khans can be found near the northern end of the coastline, at the center of the Dead Sea near EinGedi and NahalArugot, and at NeotHakikar and EinBokek at the southern end of the Dead Sea. Lot's of visitors to the dead sea area comes and rest at local hotels after spending couple of days at one of Jerusalem's hotels. Several shopping and recreation centers have sprouted up around the hotels at EinBokek, for guests who want to browseshops, walk around, and enjoy a selection of cafes and restaurants. If you prefer to get away from hotels, restaurants and the noise and bustle of fellow vacationers, the hostels, guest houses and khans spread along the coastline in quieter and more intimate settings would be your ideal choice for a quiet vacation. The wealth of historical sites, hiking trails and activities available in and around the Dead Sea guarantees that whichever accommodations you choose – whether a hotel, lodge, hostel or vacation village, one of the landmarks that make the Dead Sea so unique will be no further than a few minutes' drive away. Enjoy your vacation!